/ Should You Brush or Floss First? What is the meaning of life? What is the key to happiness? Should I brush first or should I floss first? These are just some of the age old questions that have baffled society for centuries. A recent report published by the American Academy of Periodontology (AAP) may have the answer! Their study included 25 participants who were asked to brush their teeth first, then use dental floss to clean the spaces between their teeth (brush-floss). In a second phase, the same group was asked to use floss, then brush their teeth (floss-brush). Researchers found that the amount of plaque between the teeth and in the mouth overall was significantly reduced when participants were asked to floss first then brush! As flossing loosens bacteria and debris from between your teeth, brushing afterwards (when the mouth is rinsed with water) further clears the mouth of these particles. Plaque bacteria are the primary culprit behind the development of periodontal disease, an inflammatory condition that occurs when bacteria accumulate below the gum line. Periodontal disease can lead to swelling, irritation, gum recession, and tooth loss if left untreated. 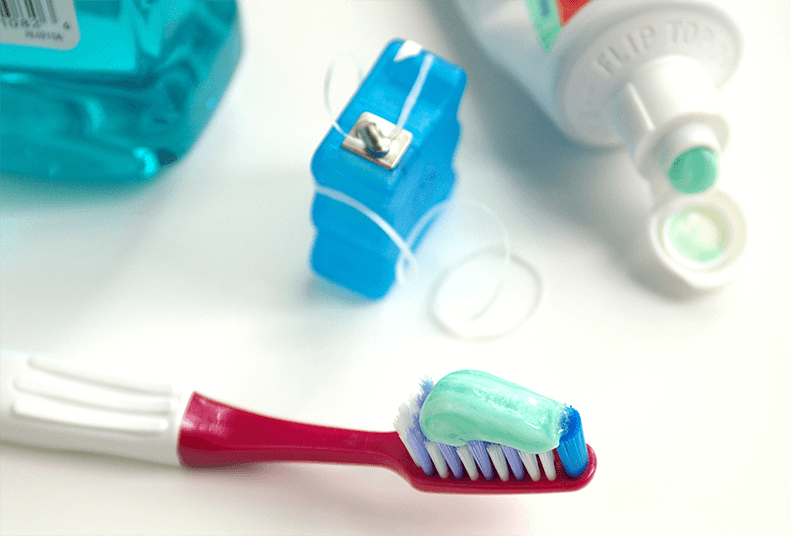 The AAP recommends flossing regularly, brushing twice a day, and undergoing yearly comprehensive periodontal evaluations for the prevention of periodontal disease, which is treatable and often reversible with proper and timely care. So there you have it. You now know the answer to one of life’s most intriguing mysteries.